This website serves to expose Paul Sides as a false teacher. 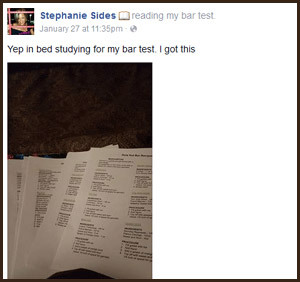 This page documents the Facebook posts of Stephanie Sides, the wife of Paul Sides. One would think that the wife of a self-proclaimed Nazarene teacher would be an example for women, as she follows after Torah. 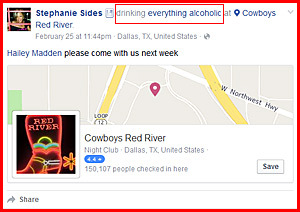 But Stephanie’s Facebook posts show that she curses, promotes drinking alcohol, works on the Sabbath, promotes Easter and Christmas, gives Halloween advise, and more. 12-25-17: Paul Sides condemns pagan Christmas, but Stephanie still observes it. 12-15-17: Elf on the shelf frenzy? Do you mean Christmas shopping? 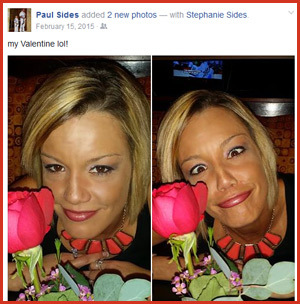 12-10-17: Paul Sides condemns the title of God, and Stephanie uses it in an ironic way. 12-09-17: Stephanie wishes everyone Happy Holidays, with pagan Christmas decorations. 12-09-17: The sentiment is right, giving perspective, as this man was paralyzed the day after he proposed; but the wording is vile. 12-09-17: More unholy nasty words. 12-09-17: Here she shares a video of a Christmas elf male pole dancer, and says ‘Yes please’. Merry Christmas to me! Umm, okay! 10-29-17: It makes you wonder how she talks in person. 05/05/17 Stephanie gives advice on how to cure an alcohol hangover. 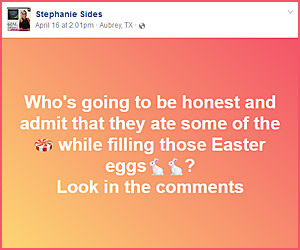 04/16/17 Rav Sha’ul condemns pagan-based Easter; while Stephanie posted about filling Easter eggs. Such hypocrisy! 01/04/17 Stephanie used a four-letter curse word to promote her business. 12/22/16 Stephanie using pagan Christmas to promote her business. 10/19/16 Stephanie shared Halloween advise. 05/13/16 Working 10 days in a row means not resting on the Sabbath. 01/21/16 Stephanie dropping the f-bomb and being crude. 09/19/15 A true leader would keep this photo to himself. 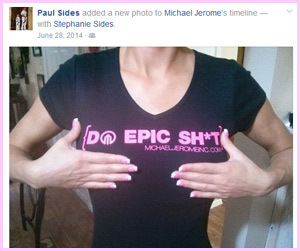 06/28/14 Paul posted this image of Stephanie wearing a crude shirt. 11/12/12 Paul posted this revealing picture of his wife on Facebook for all to see. A true leader would know that it will make weaker men stumble. Return to the Rav Shaul Exposed home page.